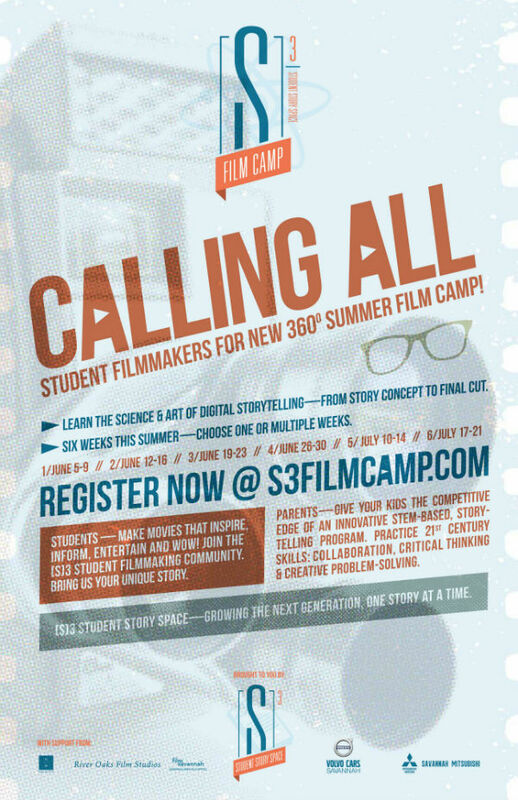 Help your child develop 21st Century success skills and learn the science and art of digital storytelling from story concept to final cut @ a new film camp this summer in Savannah. New Savannah-based Digital Storytelling Summer Film Camp Program: S3 Film Camp is on set at River Oaks Film Studios, Savannah’s newest film studio @ 198 Gulfstream Road in Savannah. Now live & accepting registrations. Register here. S3 Film Camp, where [S]TEM + [S]STORY = [S]UCCESS. S3 Film Camp is for students ages 10 & older. Students are grouped by age and experience. Limited class size. Younger student? Inquire here. Because S3 Film Camp has had so much interest in their camp, organizers have added a new option to include younger filmmakers 7 to 10-years-old for the week of July 10. Give your kids the competitive edge of an innovative STEM-based digital storytelling film program developed by industry professionals and certified gifted and talented teachers @ [S]3 Digital Storytelling Film Camps. Students build portfolios. Sharpen their skills. Earn Scout Badge requirements and learn from industry professionals. 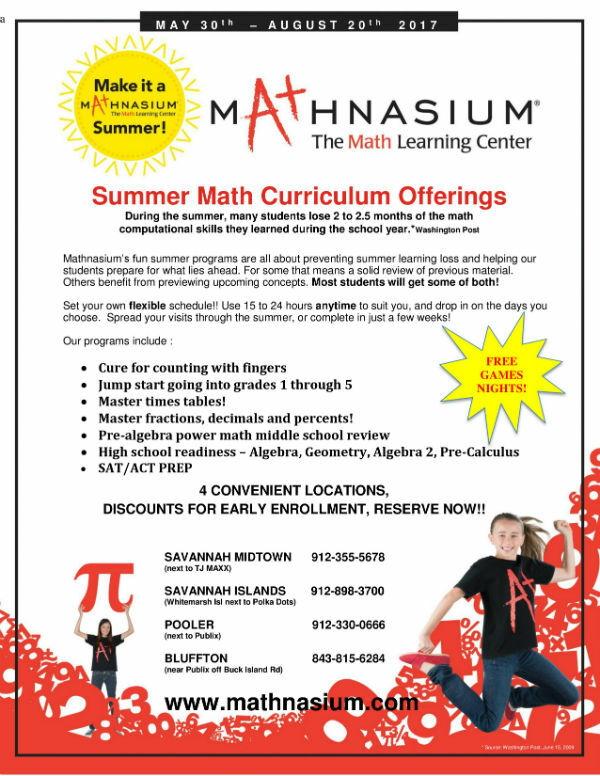 Six weeks this summer – choose one week or multiple weeks. June 5-9; June 12-16; June 19-23; June 26-30; July 10-14; July 17-21. Professional portraits are a wonderfully special gift for Mother’s Day. There’s nothing as priceless as family photographs that capture your beautiful children before they grow up. Portraits by Savannah professional photographer Nancy Hedtke, owner of Family Tides Photography, are in high demand by parents in Savannah & the Lowcountry. She combines a modern aesthetic with authentic moments providing quality images. Family Tides Photography is offering a sweet Mother’s Day 2017 Portrait Deal – because every Mama deserves to have beautiful, updated photos with her babies on her walls or on her desktop. This $99 package includes 30 minutes on Family Tides all-white set with an 8×10 print in frame of choice. Additional prints and/or digital images will be available for purchase separately. Please request a Mother’s Day Portrait Deal session time directly via the online reservation link here. Stay connected & updated about portrait sessions by following Family Tides Photography on Instagram here & liking their page on Facebook here. Need a full-day summer camp for Summer 2017? 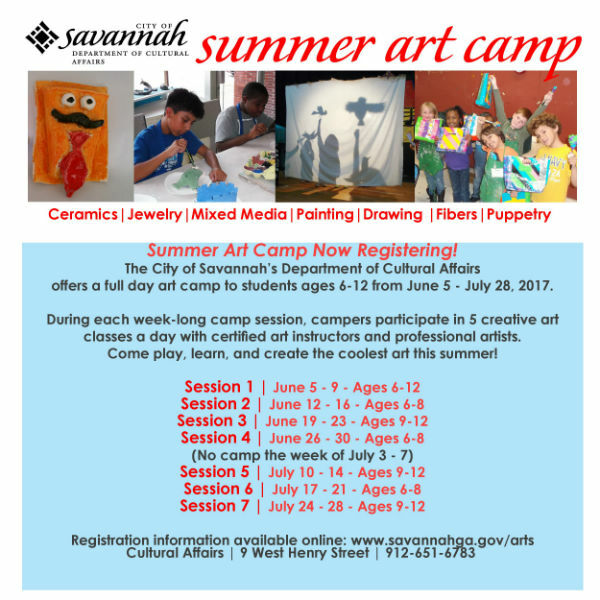 City of Savannah Department of Cultural Affairs presents the popular art camp for students up to age 12 during the summer break 2017. Limited volunteer internship opportunities are available for teens ages 13-18. Learn more & download a registration form here. We’re excited to tell you about Spring Lovelane Designs Pop-Up Shop. 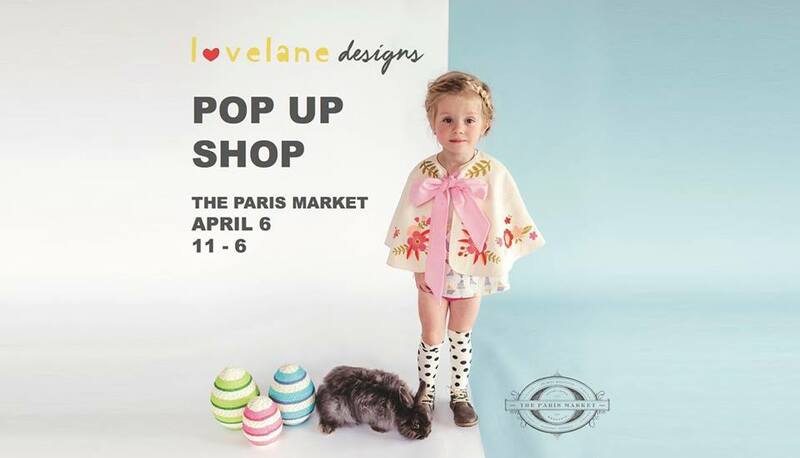 Join The Paris Market in Savannah as Lovelane Designs presents her newest designs just in time for spring! Come and enjoy champagne in The Paris Market cafe as you shop the store to create one of a kind Easter baskets for your loved ones! Lovelane Designs are adored for being high-quality; loving handmade with all-natural materials; and just downright magical. 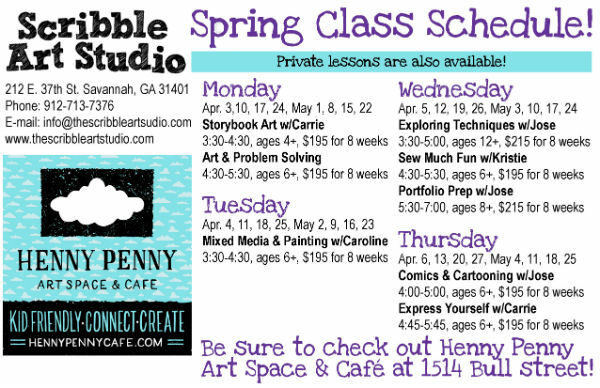 Scribble Art Studio in Savannah spring children’s art classes will start the week of April 3 and run through May 2017. Learn more about the above classes offered here. Check out our favorite things to do during Spring 2017 in Savannah & the Lowcountry. 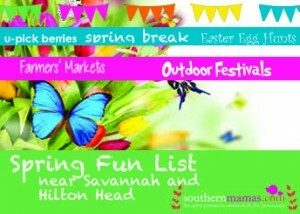 Savannah-Lowcountry Spring 2017 Outdoor Festivals & special Spring events curated lovingly just for you by SouthernMamas.com. students prepare for what lies ahead. For some that means a solid review of previous material. Others benefit from previewing upcoming concepts. Most students will get some of both! choose. Spread your visits through the summer, or complete in just a few weeks.  Master fractions, decimals and percents! Here’s a way to participate in a 5K and raise money for people with autism. 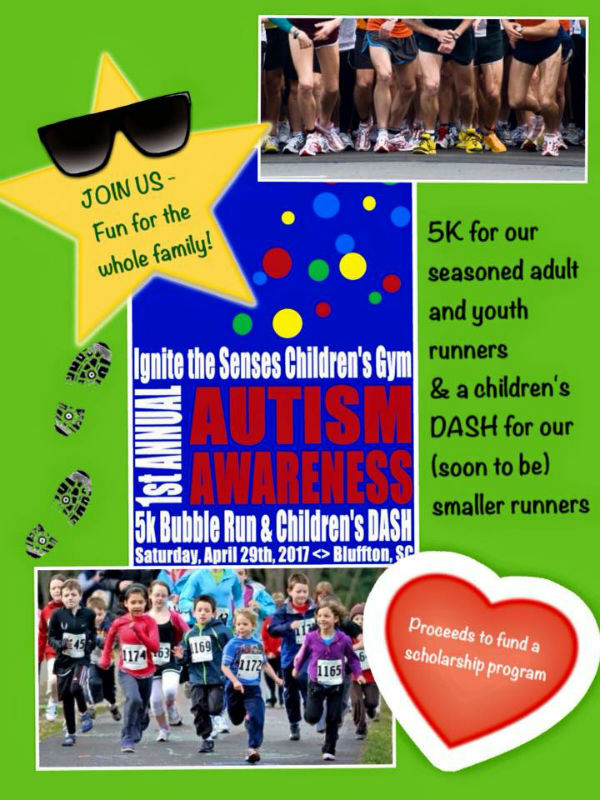 This 5K Bubble Run & Children’s Dash is to raise community awareness and acceptance for those living with autism. The proceeds from this event will provide scholarships and special activities, such as a caring Santa and art and music programs for the special needs population. The 5K race starts and ends at the Bluffton Oyster Factory Park. It is a fast and flat course thru Old Town Bluffton, chipped timed by Palmetto Running Company. Followed by a Children’s DASH event. The award ceremony will take place following DASH. Packet Pick up Friday April 28 9AM-7PM at Ignite the Senses Gym, 163 Bluffton Road, Suite C-1 and Race day morning from 7-7:30AM at the race start. Race location: Downtown Bluffton starting and ending at the Oyster Factory. Ignite the Senses, www.ignitethesensesgym.com. Stay connected by liking Ignite the Senses on Facebook here . Ignite the Senses is a SouthernMamas.com advertiser. Come to the Lawton Stables for a Memorial Day Celebration benefiting The Sandbox Children’s Museum. Sandbox at the Stables, Mon. May 29 from 10AM-2PM @ Lawton Stables in Sea Pines Resort. Travel by skiff to a barrier island and witness horseshoe crabs coming inshore to spawn. Work alongside educators from the UGA Marine Education Center and Aquarium educators to take the measurements of the horseshoe crabs and observe the migratory shorebirds that rely on the horseshoe crab eggs for food. Ages 10 and up, all children must be accompanied by an adult. Savannah Stage Company is working to bring their art to more audiences & we are so thankful they are! 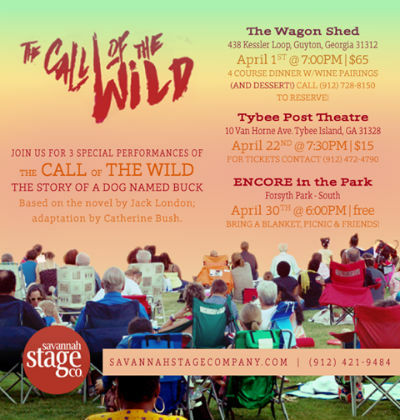 Savannah Stage Company will also perform “The Call of The Wild” in Forsyth Park for a FREE outdoor Encore in the Park, 6PM April 30. FOR MORE FREE SAVANNAH-AREA FAMILY EVENTS, CLICK HERE. You-Pick Strawberries @ Coastal Georgia Botanical Gardens, Savannah to open April 17 for 2017 season. Hours are 9AM-1PM Monday-Thursday & Saturdays. (Closed Fridays & Sundays) No picking on Easter Weekend. Cost: $2.50/lb. Cash & credit cards accepted. No checks. Coastal Georgia Botanical Gardens at the Historic Bamboo Farm continues to offer fresh berry fruits for picking from the fields when in season. Dempsey Farms – a family owned operation on St. Helena Island, SC, 11 miles east of Beaufort – has opened for the Spring 2017 U-pick strawberry season on a limited schedule. Please call for hours & to confirm the u-pick fields are open. When the fields get picked out, the u-pick fields close so berries can ripen. 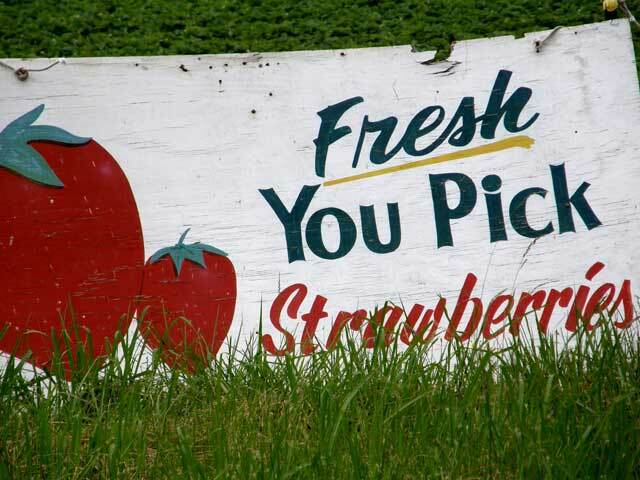 Ottawa Farms U-Pick, Bloomingdale, Ga.
U-pick strawberry fields are open for the Spring 2017 season. Hours: 9AM-4:30PM Tues-Sat. ; 1-5PM Sun. Calling kids of all ages! Come to Touch-A-Truck free event Saturday, April 1, 11AM – 2PM @ the Tanger Outlets Hilton Head 1 location. Come climb, honk and explore a variety of trucks and vehicles from Bluffton Township Fire Department, the Marine Corps Air Station Beaufort, Palmetto Electric, Beaufort County Sheriff’s Office and many more. FREE ENTRY. Admission is free. Please bring a school supply donation in support of Project Connect, a community-wide program created by the Hilton Head-Bluffton Chamber of Commerce. Project Connect is requesting basic school supplies- paper, pencils, crayons, folders, composition books along with special items like ITunes Gift Cards (for Smart Boards that operate off apps), Clorox wipes and hand sanitizer. 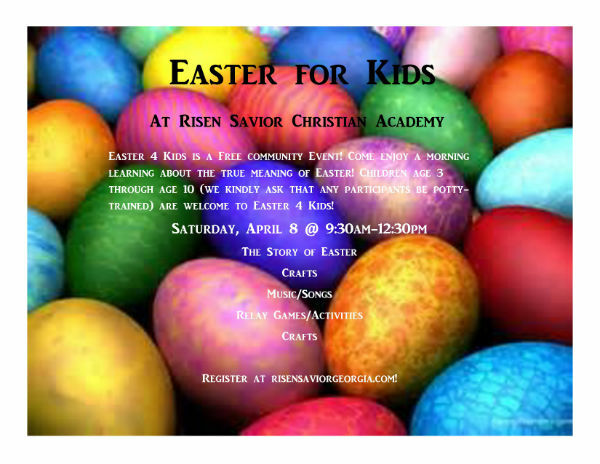 You’re invited to Easter 4 Kids @ Risen Savior Christian Academy in Pooler for a morning of connecting, learning, and fun centered on the comforting message of Jesus’ resurrection. Children age 3 through age 10 (all participants must be potty-trained) are welcome to Easter 4 Kids which includes the Good Friday and Easter story. Teachers and helpers are excited to share the love of Jesus with your child! Drop-Off and Pick-Up: For the safety of all the children, please accompany your child into the church entryway. Children may be dropped off in the church entryway as early as 9AM. All parents are graciously asked to join in for devotion and hear the children sing an Easter song at 12PM. All children may be picked up from their classroom at 12:30PM and accompanied to your vehicle. Thank you for your assistance in keeping children safe. To register for Easter 4 Kids, click on the link below. Please register by Mon. April 3. For more information please call 912.925.9431. Register your child for E4K here. Registration closes on Mon. April 3. UPDATE: The winner is Ann B.
Kindermusik with 88 Keys Piano in Savannah is offering an entire month of free classes in April (including home materials) for one child between the ages of 0-7! To enter your name to win, visit kindermusikwith88keys.com before March 31 and enter the drawing- it’s as simple as that! We love it! Perfect for those who are looking for a few days of camp here and there. The mix & match option allows you to spread a week of camp throughout the summer. Scribble Art Studio in Savannah offers art summer camps 2017 for little & big kids. Art camp for ages 4-7 is Mon-Fri. 10AM-1PM. Weekly sessions run May 22-Aug. 18 2017. 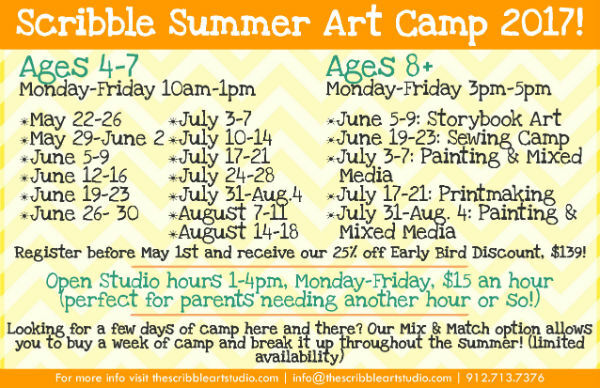 Art Camp for ages 8+ is Mon-Fri. 3-5PM. Weekly sessions run June 5-Aug. 4 2017. Dates for older kids camps: June 5-9 Story Book Art; June 19-23 Sewing; July 3-July 7 Painting & Mixed Media; July 17-21 Printmaking; July 31-Aug. 4 Painting & Mixed Media.